*Ned is hunting buddies with Jeff Foxworthy. 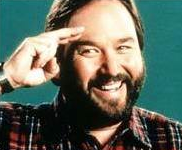 And maybe Foxworthy and Al (Richard Karn) run in the same (90s sit-com) circle. OK. So, this was sort of awesome. Or… it was until I realized that Al was in town to perform at The New Theatre Restaurant in Overland Park. But here’s the thing: If you’re from Kansas City, this makes the story even better. Al from Home Improvement is playing the lead in “The 25th Annual Putnam County Spelling Bee.” And this is SOOOO… Kansas City. We live in a town where every single C-list former sit-com actor shows up to perform at a dinner theatre in a suburban strip mall. And this all seems totally normal. We live in a town where there’s a place called the NEW Theatre Restaurant — and it opened more than 20 years ago. And then it hit me: A washed-up sitcom actor singing “God Bless America” at The K as the Royals got blown out? Yep, this might have been the most “Kansas City” moment in history. IЎ¦m no longer sure the place you are getting your information, but good topic. I must spend a while finding out much more or understanding more. Thank you for fantastic information I was on the lookout for this information for my mission.